Please take a moment to read genuine previous clients feedback dating back to 2002. Firstly, thank you to your 2 colleagues who played on St. Patrick’s Day. We received such positive feedback from both our customers and colleagues. Please pass on our thanks from BA. I just wanted to say thank you so much for the recommendation of Jazz Dynasty for me event at The Beaumont Hotel last night. Isobel and the team were absolutely fantastic and helped to create the most perfect atmosphere for our event. They looked great, sounded great and were consummate professionals – they were also great fun and I couldn’t recommend them enough! If there is anywhere in particular that you would like me to leave a review, please do let me know. Thanks for organising everything, the event went smoothly and everyone complimented the band. We will be sure to come to you again for our future events. It went well. They ended doing only one dance but encouraged our staff to participate so 2 people did a dance in the outfit was well. I took the drummer round the building to announce the dance. People enjoyed it very much and it was a total surprise. The dancers were fed with Chinese food and dumplings. Thanks for your help and will keep your details for future events esp… Christmas party. I just wanted to say a big thank you on behalf of Arkk team, having you all made the event a 100 x better and we all loved every moment of the performance! Not sure if you are able to pass on the message to Adam too but I also would like to say thank you to him as he has done an extremely fantastic job as we were all blown away by his tricks! I have sent the remaining invoice to our accounts now, If there are any issues let me know. I hope there will be another opportunity to work together in the near future. Hope this message finds you well on this rainy morning. Just wanted to send a little note to thank you for the support of our cocktail last night – the preparation ran very smooth and the event itself was perfect. I’ve received amazing feedback on the jazz band! Thank you very much once again and hope to have the chance to work together again. Your colleagues were superb and added immensely to a very successful evening. I thanked them myself, but if you get a chance to pass on my gratitude I would be very grateful. I look forward to working with you again. difficult venue but I hope they didn’t think that they were not appreciated – they certainly made our party. Everything went so well with Sean on Saturday. We were delighted with him and his fantastic ability to adapt to the crowd. Everyone had so much fun and was far more energetic than I had originally briefed!! Totally loved his voice, Music and very friendly attitude. Would totally recommend without hesitation. Please pass my thanks onto the band. They were excellent! Just a very quick message to say thanks very much for playing our wedding last Friday. We were extremely impressed and loads of the guests raved about your performance. Spirited and professional! Let us know if you want a review posted anywhere. The band was great and very much appreciated- they really helped set the tone for the afternoon. Just to say we loved having Roger, Vanessa and Geddes on Wednesday evening. They did a fab job and I am only sorry we did not have another heater to keep them warm! Next time we will ensure there is an extra heater for them! The evening was a big success in all respects. Thank you Roger, Vanessa and Geddes for your part in that. On behalf of the Breguet team, I would like to thank you and the band for your great involvement with the yesterday event. 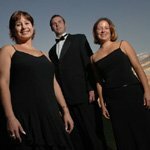 The trio has been exceptional and our guests had a very lovely experience during the evening. We already received many positive comments. Many thanks to you all and look forward to collaborating again with you very soon. Wishing you a lovely Friday and a restful weekend! Hope you’re well. I just wanted to say how fantastic both bands were at our event last night. Such a really lovely bunch of guys who turned up on time, were so professional and both sounded great. We all had an absolute ball, so please pass on my thanks to Ant & Ant from The Jetsetters and also Andy, Stuart and Graham from Beato Burrito. They really are a credit to you and I wouldn’t hesitate to use them again for future events. I have both invoices, so will organise payment for that today by BACS. Thanks again – it’s been a pleasure working with you. A quick email to thank you for the great act today. This morning went really well and everyone in the office thoroughly enjoyed the Lion and musicians. Looking forward to receiving the invoice. Thank you so very much for your email and follow up. They were absolutely lovely, they were here on time, performed beautifully and we very pleasant. Thank you as always for your help and assistance. It went very well, they played beautifully. Our clients were very content. We’ll definitely be in touch for any further events in the near future. Merry Christmas and Happy New Year from our IWC team! I’m not sure in all the madness of work after the wedding to give you feedback on Juan who played at our wedding. He was absolutely brilliant. We had so many compliments about him and everyone so enjoyed his music. I would highly recommend him for any event. He was a pleasure to deal and is a very talented chap! Our guests thoroughly enjoyed the event, the singers made a real difference, especially as people were arriving. I have uploaded the invoice and details into our system so it should get paid quickly now. I’ve been meaning to message you! I just wanted to say thank you so much for all your help in the run up, the band were amazing! And so lovely, I left feeling like they were new friends, everyone really loved the music, it made the night. Thank you for a wonderful event last night. The guests all enjoyed the party and especially the music. Specifically thank you for also for the quick turnaround, for managing to pull this together in a short notice. I will recommend your services to friends. Just to say thank you so much for such a perfect service in providing our entertainment at Lullingstone for the weekend. The Mexican Duo were totally fantastic. Everyone loved them, they were super friendly, punctual and just perfect all round. I would be grateful if you could pass my thanks to the band for last night. They were brilliant and so many people have said how much they enjoyed their music. It went great! Cull and Joane were amazing! If you could ask them for some feedback we can pass onto the organisers that would be great. The band were amazing on Friday – everyone loved them! Thank you for arranging The Stompers for our function. Would you please pass on a massive thanks from us. They were great and exactly what we required for the evening. Just to report back that Harry and his team did a superb job for us on Saturday. We were delighted with the music. Just wanted to drop you a line to let you know that we had a very successful event on Monday evening. The Ozones did a great job and they were enjoyed by all. Thank you for all your help leading up to the event. I have posted a comment onto their Music for London page. The trio were great and really lovely to work with. They set the perfect atmosphere. Sean’s performance was brilliant, it was exactly what we needed. Thanks, Valtie was great and everyone was really pleased with the live! Thanks for your follow up- it has been a manic week! All went well on Sunday thank you. The client was really happy with Jozef and said he was very talented. He was perfect for the reception. The dancers were fantastic and the members absolutely loved them! Harry was super – played his little socks off – and created a really nice atmosphere for our Christmas drinks, thank you for the recommendation. As far as I’m aware the Arkansas Drifters invoice is still due for payment before Xmas but have chased our accounts team for an update and will confirm ASAP. The event went great and everyone really loved Tim, he’s very good! thanks for suggesting him for our event. hank you for making our special day even more special. Henri did a wonderful job at the event – his music was absolutely spot on for the event and many audience members commented on how brilliant the music was. I would be very happy to recommend him for similar events! We raised over £230,000 for our literacy work with Uganda so a fantastic result for Build Africa! I just wanted to pass on my most grateful thanks to you and the band (MFL Military Marching Brass Band). The day went really well and the band were fantastic, please can you let them know my appreciation. My wife and I would like to give you some feedback on Alan‘s performance at our wedding. Alan was fantastic, both with communication before the wedding and with his performance on the day. He arrived early and was set up well in advance of the requested time which on a stressful day with lots of details to arrange was very welcome! Alan was polite, professional, well presented and very calm. As the groom, I was not so calm, but chatting with Alan was a welcome relief from the pressure and I enjoyed listening to him play as I waited for my future wife to arrive, late of course! Alan played everything that we asked for, filled in gaps as needed and delivered a great performance. Alan is a very talented young man and we received a huge number of comments and compliments from our guests on his performance. I would not hesitate to use Alan again in the future and highly recommend him to others. I would be more than happy if you would like to use the above testimonial on your website. I hope this email reaches you well! Just a quick thank you, the steel drummers this morning were absolutely fantastic. They really got involved, and we just lovely people! If you like, we can send you some footage?! Thank you very much for your email. I can tell you that the music was absolutely superb! Jim’s guitar playing was a really nice addition to the pre-dinner drinks. Marcus and the band were phenomenal after dinner and really made the party. We have also emailed them both to let them know how pleased we were. We will be sure to recommend them to anyone we know looking for a guitarist or a band in the future! Thank you so much for your help in organising everything. We really appreciate how easy you made it, particularly given that we only thought to add Jim quite late on. If we are throwing any other events in the future, we’ll be sure to get in contact! All the best. A huge thank you for organizing all the musicians for the wedding last Saturday. The Vaccaro Female String Quartet were stunning and helped to get the whole event started in such style! Marcus and his band were just incredible! Everyone commented on what an amazing band they were and that they were the best group they’ve ever heard at a wedding. Despite warning Lucy not to interfere with Marcus’s playlist, i am hoping that didn’t happen! The music he played was simply fantastic especially Superstition at the end with the solo sax piece. Brilliant and I must say we were very fortunate to be able to book him. Andrew was great, very organised and was happy to play Lucy and Nicks playlist. Again many thanks for everything and all your marvellous organisation. The Hurlingham have asked me to forward your details to put on their information sheet they send out to people who book events so I’ve gone ahead and done that. I just wanted to email you to let you know that Dan was incredible. From the moment he was briefed he was clearly passionate about what I wanted to achieve, his ideas and preparation was clear for all to see. On the day he delivered the music brilliantly and overall was a pleasure to work with. I will certainly be recommending him to others. Thank you so much as well saturday evening!! The band was AMAZING!! and everybody looooooved it!!!!!!! They were really great, thank you! We’d love to book them again for this Friday – same time, same place, same set up. I’m cc-ing Ruth as she will be taking this over from me. They were a delight and perfectly adapted to the party. It was amazing! Thank you. The band were fantastic and we had a wicked time! Would recommend the guys for any party. I’d like to thank you for bringing a truly special touch to our leaving party last night. Everyone is saying how good it was and that the gorgeous guitar music + bagpiper were the perfect accompaniment to our last day in a place we have come to think of as home. I’ve no doubt we’ll have more social gatherings and when we do I won’t hesitate to contact you. Sharis and I wanted to thank you and the band for doing such an amazing job at our wedding. The rendition you did of Higher Love during the ceremony really was incredibly beautiful and moving – it couldn’t have been any better. Also, the sets you did afterwards really added a great atmosphere. When we were off doing photos we could hear the music and said to each other, “Oh that’s a great tune” and were only sorry we couldn’t be right there to enjoy it properly. I hope you all had a good time playing for us. Thank you again for all your hard work and talent! We were blown away by the steel ban trio on the morning of our school opening. It was enjoyed by all and made the atmosphere and occasion so special. Thank you for everything. I would like to say Thank You…From the initial enquiries through to the day of the Wedding, I have been very happy with the level of service. The Chinese Lions exceeded my expectations. I never imagined how much excitement the Lions would create. We had about 20 children at our wedding reception, and they went absolutely crazy for the Lions! The adults were excited too, and it was a nice surprise for the guests. Our day was running late, and the performers waited patiently for me to be ready as I didn’t want to miss a thing. At the last minute, they were asked to perform outside. I appreciate this was outside of their comfort zone, as there was no outdoor provision for music. But they just got on with it, with loads of young children around them too. I wanted to extend a special Thank You to the Lion performers for going the extra mile for us and being so great with the kids. It was a big highlight of our Wedding day. I wanted to say a big thank you for connecting me to Graham and the Sunshines. They did such a great job playing at our wedding on the 20th June. Truly OUTSTANDING. They were so upbeat, everyone loved the music and Graham and the band bent over backwards to make it a special night for us all. They really could not have been better. I would recommend them to anyone and give them a 5* Plus. I just wanted to email to say thank you ever so much for last night. It was lovely meeting the band, and you played beautifully! You were great to work with, extremely flexible, especially with last minute changes to the agenda. The guests really enjoyed the evening, and have given amazing feedback on the music – they said they would have liked to have spent more time watching you play, which is useful feedback for us to bear in mind for future dinners, and we will most certainly be in touch when looking for musicians again, you are all extremely talented! I hope you enjoyed your time last night, and that it all ran smoothly for you. Once we get the photos from the evening, I am happy to send you a few of the band if you would like. Anything else, do let me know. Thank you! Thank you for the entertainment you provided last week, as always without a paperwork hitch! Calligraphy: a great success, lots of shoppers wanting calligraphy, nice set up, simple and effective. Everyone loves a freebie at Westfield and so this has been very popular. Musicians: The most wonderfully lovely pair of people that have performed at Westfield yet. They were on time all the time, played a fantastic set and were extremely grateful for being there. Pleased to have them back Sunday. Lion dancers: A fantastic attraction, they engaged brilliantly with the audience and gathered crowds in pronto timing. Bombarded by parents wanting photo’s of the lion with their kids, it doubled the performance time but kept our audiences extremely happy. Dancers: Our two girls were back today and performing more duets than solo’s, which was great as it gives a better impact and atmosphere (maybe a trio next year?). I hope this helps with feedback, as always thank you for your efficiency with organisation. We will be sure to contact you for the next exciting installment. Please pass on our thanks to the performers as they did an excellent job last night and made our event extra special. Thank you for yet another great event. As always, the guys were fabulous at organising themselves and moving around the site as the work moved around. I barely had a chance to speak to them, which only goes to show how well organised they are. Please pass on my thanks and I’ll be in touch about our next event soon. Titus, the girls were fantastic, such beautiful voices. They were perched on a balcony looking down on us all whilst we had dinner and they sounded absolutely amazing. I’m thrilled we decided to use them and I will definitely recommend them. Just wanted to drop you a quick line to let you know that yesterday’s act was a great success. He was really well received by the guests and was great at moving round the room and ensuring all guests were able to see some tricks. Please can you send a thank you note over to him from all of us here. Just wanted to send you a quick message to thank you for all your support with the Ball on Friday. It was a great success and the Motor City Band were fantastic, even better than last year. Kevin and the lady signer were fabulous and the sound chap really helpful. As soon as we have dates for 2015 I will be in touch. You were right, Huw Price got a very good response from my customers. Thank you. I am extremely impressed with the standard supplied to date……. Can’t wait for Mike Allen. Suzi B. – Very good……….Mike Allen – FANTASTIC!!!!! Can you please pass on my thanks to the guys from The Parade they were awesome and helped make our special day even better. I would thoroughly recommend them to anyone and what a nice group of guys we wish them every success for the future. Thank you so much for your hard work tonight! It was a delight to work with you on this event! I would like to let you know how very much we all enjoyed Odette’s performance last night. She was absolutely perfect for our evening – sang all the right songs and her rendering of Red Red Wine was brilliant. I just wanted to say we thoroughly enjoyed the Cubano band. The music was amazing and it really made the day, they were really friendly and everyone enjoyed it. Please pass on our appreciation and we will recommend them to all of our friends. Just wanted to say, what a fantastic group of guys! They helped make our barbecue a great event, so many people commented on them, they even had people dancing in the afternoon! We were most definitely blessed with the weather, great crowd, food and music. Without a doubt would recommend and book the guys again. I hope they enjoyed the afternoon with us to. I hope you are very well and enjoying the sunshine! I just wanted to say a huge thank you to the band. We had some fantastic feedback from the clients and guests who has a fantastic time!! I have passed your invoice onto the accounts department who will pay this. This is Nikita Runnion (formally Sharman) from the May 18th Wedding at Shendish Manor. I am writing to formally thank you for your services, the day was the best day of my life, and would not have been the same without your contribution! Your music was really wonderful and you guys were my first choice and you did not disappoint! It was the perfect music for that setting, and i’m so glad my husband and I got to sneak in a few dances in between getting ushered away! So once again Thank you, please let me know if there are any places you would like a positive review/testimonial, and I am happy to write about my amazing experience and what you offer, and of course, I will be recommending you to any friends or family with upcoming events! Thank you for coming and for getting the party off to such a fantastic start! It was great to see you, and we loved the set list and the super music. Hi Titus… here we are again! Now I know you’re hoping that we’ll keep this up but as I keep saying this is the end of Easter so I imagine that this is the last one – famous last words. Again thank you for ALL your help, you make it very easy! 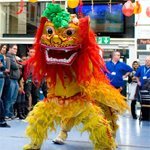 We wanted to thank you very much for the fantastic performances of the Carribe Steel Band and the Chinese Lion Dance on Sunday. We have been told that this was the best entertainment lineup that we have ever had at the Global Festival and your contributions made it very special. Thanks again. It’s late and we’re very tired but couldn’t go to bed tonight without saying what a brilliant job you guys did last night! The music and atmosphere was perfect so please pass on our thanks and praise to the other band members too. The music was fabulous, the scottish dancing…. not so much… strip the willow was, literally, a whirlwind of arms and legs and feet and kilts and sweaty brows! If there’s any of the professional pics that feature the band we will let you know and please let us know if you’d like any comments or that for references, because we couldn’t recommend you highly enough! And all the guests commented on the music too. The event was absolutely brilliantly…couldn’t have gone any better! Was all a bit surreal but the person I did the surprise for absolutely loved it, although slightly overwhelmed!! Thank you again for such amazing help. Will defo recommend you in the future. So we have officially finished our buskers project, hurray! Everything went fantastic and I will be sad not to be hitting the streets of London to hear such cheerful music (although I won’t miss the early mornings!). same without your help. I will be getting feedback from the client soon and will surely have praise to pass on to all your acts. I wanted to drop you a line to say a big thank you for coming to Rowan this morning. The girls thoroughly enjoyed your show and workshops and couldn’t wait to tell me all about it. They haven’t stopped talking about the experience all day! We would like to thank you for organising the Lion performance for Chinese New Year. Our students really enjoyed this and we all had a wonderful time. 1) Can we please rebook the Lion Performance along with Chinese acrobats a year in advance? This will mean a performance on Thursday Feb 19th 2015. I believe that it is the year of the goat but will double check closer to the time. 2) The College is now in the process of preparing for celebrating the achievement of women. We will be honouring female composers and wish to book a female classical quartet for the 11th March to perform in the canteen during the lunch period approx. 1:15 – 1:45 and again at 2:15 to 2:45…………………. “We booked Voxel as part of the entertainment for Christmas in-store promotions for a high end fashion brand. The girls were fantastic – they sounded brilliant, looked great and were extremely professional at all times. Wouldn’t hesitate to hire them again!” – Suzanne Utting, Evoke Entertainment. Voxel, with their friendly nature, and beautiful singing voices lit up our Christmas party. Ours was an informal gathering yet even in this context they were extremely professional and welcoming. – Sarah Buchanan, Amati. A Collective of London's Professional Musicians for Hire for Events in London, the rest of the UK and Worldwide.